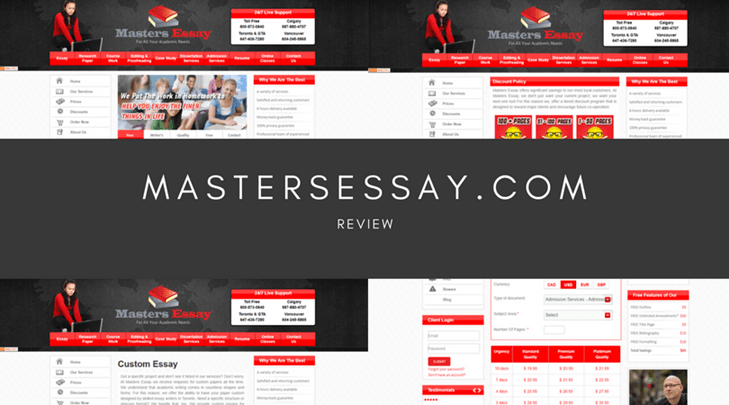 If you’re looking for an affordable custom essay writing service that will provide you with the service that you feel like you deserve, as you should with any kind of business, you may have stumbled upon Essay.ws. Whether you’re struggling to make a start on your essay or simply don’t have time to complete it yourself, things can go from bad to worse when the service you choose turns out to be a scam. So, let’s find out whether this is the service for you. The first thing I noticed was the lack of a services page and the lack of any information at all on the subject. The only way to really find out is to start making your way through the order process. 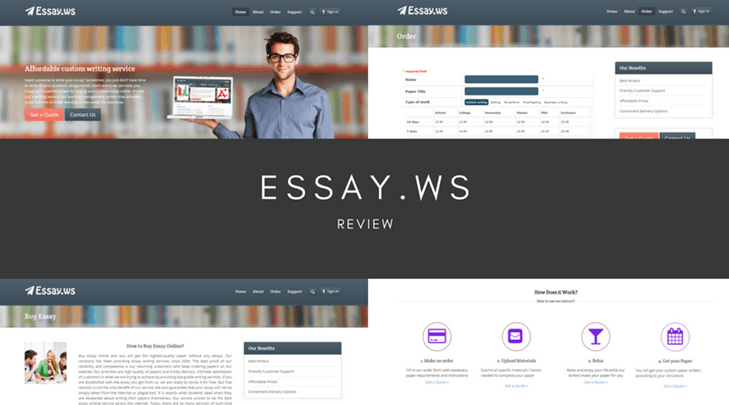 Here, I found that Essay ws only offers five services; custom writing, editing, PowerPoint presentations, proofreading and business writing. This is a far cry from some of the leading services which can offer in excess of 50+ services, meaning some students will have to take their business elsewhere to a website that can provide. Same as the above, there is no pricing page to be found anywhere on the website, so all the information will come from the quote pages. Using the small-print table, you can work out the price for your order. 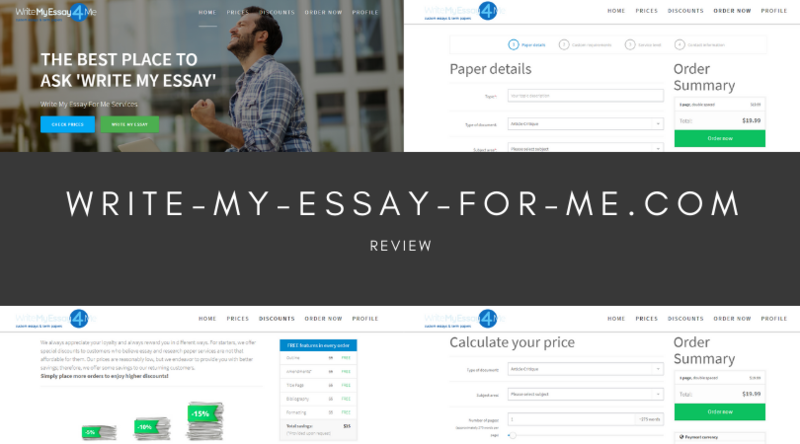 To give you a rough idea of the affordability of the services, a ten-page essay written to a Master’s degree with a 5-day deadline will set you back around $219. This is an extortionate amount of money, and it will be hard for any students that I know to be able to justify that kind of spending. According to the homepage of the website, the site has served over 2000 customers and produced over 12,000 essays. Scrolling down, you’ll find a collection of reviews and testimonials from ‘customers’ but none of these reviews has any dates so could, in theory, be decades out of date. 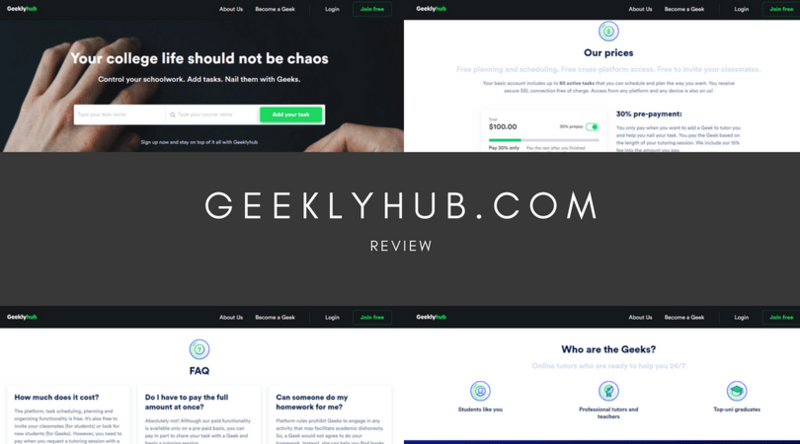 Forced to search online, I found many mixed reviews on the service, some claiming the service is ‘okay’ while others complained of poorly written content and some customers not even receiving an essay, even after the money was taken! There a dedicated support page on the website where you’ll find an FAQ section, a really basic email form and a physical address. There’s also a live chat feature on every page. However, there are no links to social media profiles, no contact phone numbers or email addresses, meaning actually getting in contact with the company could prove difficult. Despite the claims made by the website, it’s safe to say there are more affordable custom writing services out there that have a much more reliable service with better support options and more consistency in the quality of the content. My advice is to find another writing service. the customer support is awful, they made some lame excuses that my order got delivered late.. and when I tried to get some partial refund for lateness they refused! after back and forth chats I managed to get a few bucks back, but it cost me some stressful hours.